Sew, Stamp, Stitch: He is VERY cute! Something I did get finished last week! 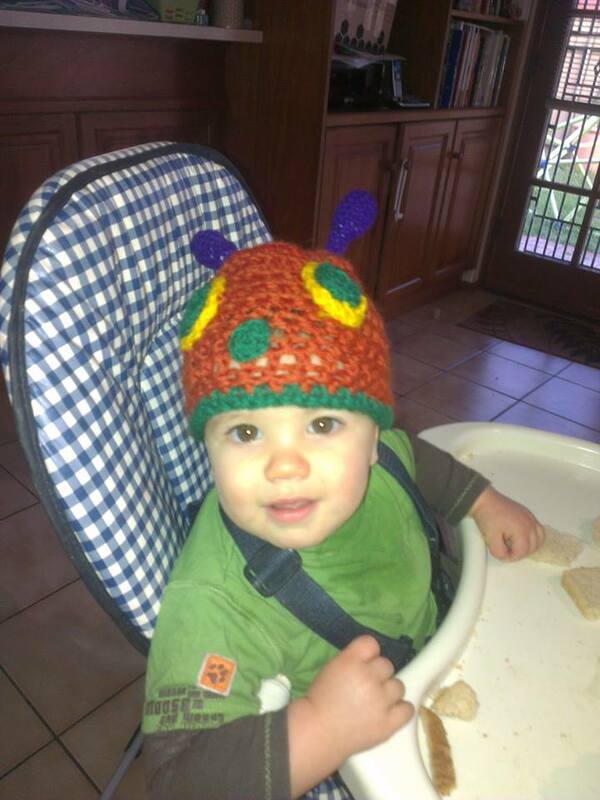 Yes, I made him a very hungry caterpillar beanie! I used a beanie pattern I have used before (2 strands of 8ply to make it chunky and warm) and then adapted some free instructions I found online to create the eyes, nose and antennae. Lots of fun and this photo featured on his birthday invitation too. I will also be creating a few other VHC themed things in the next month, so I hope to share them too.